Experience the charm and grace of the 1860s in our beautifully distinct rooms. 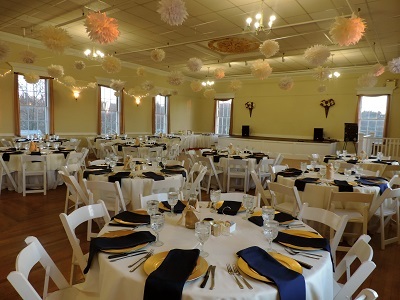 The Ballroom is a large open room, which provides plenty of space for dining, dancing, and special events. 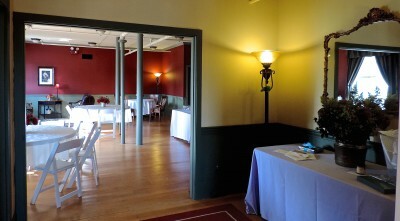 The Victorian Room offers an intimate setting perfect for small parties, a ceremony, cocktail hour, classes, or simply a quiet spot for chatting and relaxing when you need a rest from activities in the Ballroom. We are a full-service venue with staff on-site throughout your event to assist with vendor deliveries, parking direction, and greeting guests. Function rooms are accessible by elevator and handicap bathrooms available. Tables and chairs are provided for all events.